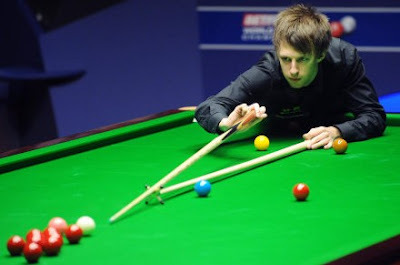 SNOOKER BAIZE BLOG: Earn a tour place via PTCs! It must be a great news for amateurs! Amateurs can earn a tour place via PTCs by finishing in top 8 on the order of merit list after 12 PTC events have completed! Professional players can also qualify via this method if they rank outside top 64 of world ranking list at the end of 2011/2012 season. Do you want to play the top players? :) Here's a chance! Top 8 order of merit list was only suitable for professional players last year. But this year WPBSA revolved this criteria, providing amateurs to qualify for the tour in another way apart from Q School. Players only need to pay £100 to enter each PTC event, grabbing a chance to win £10000 (winner's share) of each event! Professional players can also earn ranking points by winning each round. World Snooker also revealed the dates & venue for first four PTC events. Eurosport will provide live coverage on one table of PTC 4 :-) So we will can watch live action of the boys from Germany! PTC series consists of 12 events, which will be held in Sheffield and around Europe. All matches are in Best of 7. The top 24 players who win the most prize money in the PTC series will be on the order of merit. It will be ranked by the prize money that players win, also they need to at least play in 6 PTC events (3 in UK & 3 in Europe). If you are an amateur, do grab a chance to join the PTC events! You may get a chance to play top players and learn from them! Closing date for entry of PTC 1-4 is 7 June 2011.